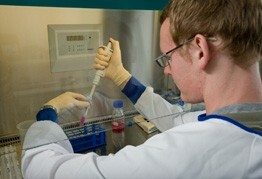 The Waikato Clinical Campus is actively involved in medical research and publishes a number of papers each year. There are professorial units in Medicine, Anaesthetics, Psychiatry and General Practice and Primary Health Care. The establishment of these units has been funded by the Waikato DHB. All of our researchers have close links with their respective departments in the University of Auckland, Faculty of Medical and Health Sciences. For more information about our research please click on the following links.